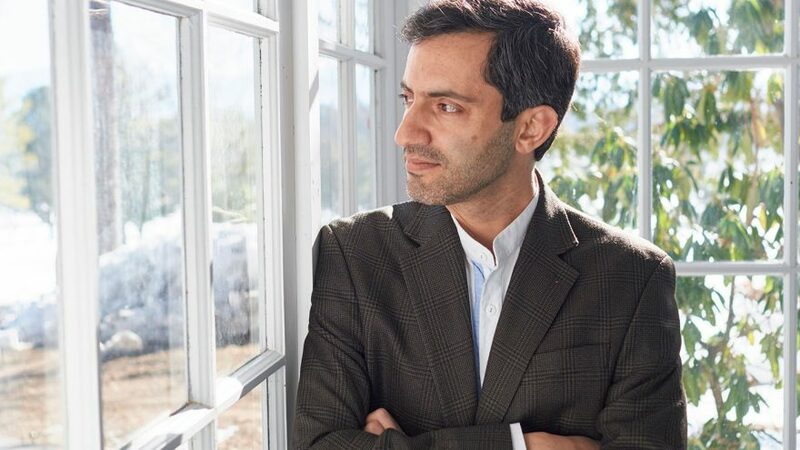 Assistant professor of religion Ata Anzali was on sabbatical in Iran when a U.S. presidential executive order turned his life upside down. Ata Anzali, an assistant professor of religion, was on sabbatical, intending to spend the academic year with his family in his native Iran, when the Trump administration announced a travel ban for immigrants from seven Muslim-majority nations, including Iran. During the immediate days that followed, Anzali was unsure if his permanent residency would allow him to return, and, if so, how long would he have this opportunity? This interview took place in late March—in Anzali’s Munroe Hall office. It has been edited and condensed. So, you’re not supposed to be sitting here right now. Put me in the moment you and your family first learned about the travel ban executive order. I try not to remember that. No, that’s okay. I was preparing breakfast for the kids and getting them ready for school when I received an email from an advocacy group that I support. The order hadn’t been released yet, but they had a draft, and they said, “This looks really bad, and it could include permanent residents.” About 10 minutes later, my older daughter woke up and saw that I was upset. She asked what was happening, and I couldn’t tell her. I just said, “It’s okay. I have a headache.” But that was the moment we learned, and from there it got worse. Amid the confusion on that first day, you didn’t know if you’d be detained or deported if you attempted to return, even though three of you are permanent residents and your youngest child is a U.S. citizen? That’s right. We heard that green-card holders from the seven designated countries were being detained at first, and then within 48 hours, we learned we could return, but we didn’t know how long that window would be open. Was it hard to just pack up and leave? For my wife and me, the decision was simple. If it had been just the two of us, we were going to stay. We thought it was beneath our dignity to be subjected to this treatment; we have done everything right, by the book. But our kids have grown up in the U.S.; being American is part of their identity. We couldn’t forgive ourselves if we missed our one opportunity to come back. The federal courts have now blocked both the original executive order and a revised version. Do you feel relief? Vindication? Let’s just say that I was reassured that a system of checks and balances still exists in this country. I don’t see that in my home country, in Iran. Let’s say the supreme leader decides on something; there’s nobody who would stop him. Just the fact that the courts were able to stop this kind of illegally drafted executive order, that gave me hope. This is why I committed to this country, at least partly. You wrote an essay for the local newspaper that compared and contrasted your native and adopted countries. A federalist form of government (as opposed to a theocracy) formed a large part of the comparison, but you also wrote about the recent campus protest of Charles Murray . . . I wrote it that very night. I have lived in two different cultures and two different political systems. I understand the anger here; much of it is understandable. But I urge people in America to never take for granted the rights that we have. Progress is made by challenging the status quo, but such progress should also build upon a foundation of what we’ve already achieved. I think it’s a luxury to even debate the notion of free speech. The extraordinary amount of freedom and power that people have in this country in terms of exerting their rights, and the limits that any authoritative body, whether it is the government or the college administration, have in restricting such freedoms—that is something people easily take for granted.. Your scholarship has focused on cultural and religious literacy, both in the U.S. and Iran . . .
I’ve tried to keep my identity as someone who can cross borders, who can live in two cultures and identify with two cultures at the same time. I want Americans to better understand Islamic and Iranian traditions, and I want Iranians to better understand American traditions of spirituality and religiosity. Unfortunately, it’s becoming much more difficult now to do that. Now I feel like I am forced to choose.